On a placid Saturday morning, a few dozen feet from the Pacific Ocean at Bixby Park in Long Beach, thousands gathered in protest. Through sister rallies around the country, the March For Our Lives became one of the largest organized protests in United States history - a fact made more remarkable because, overwhelmingly, teenagers organized these events. “This is the first step, I feel like . . . to really get the movement rolling,” Kelly Chinchilla, Ernest McBride High School senior and student organizer, said. 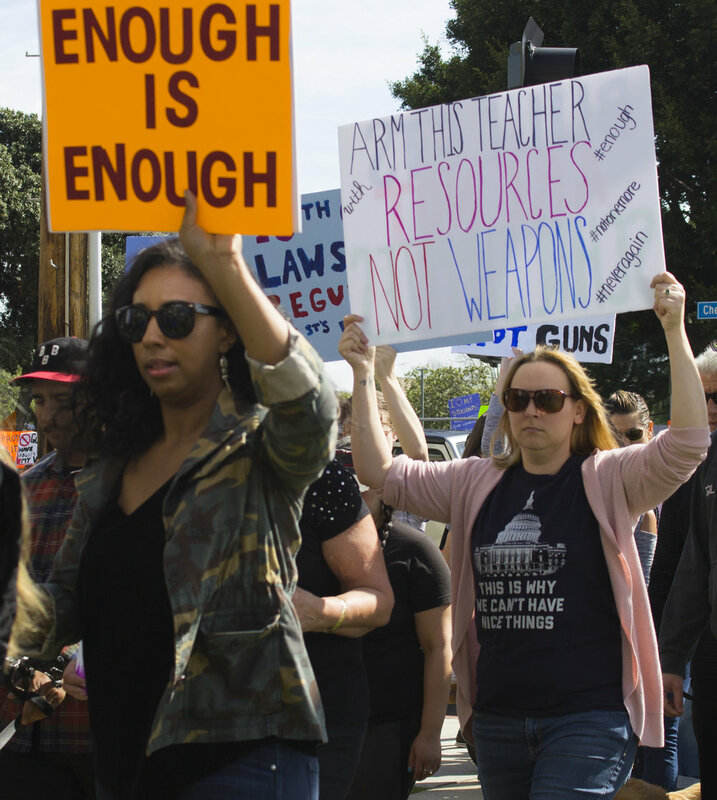 Many protesters echoed dissatisfaction that in spite of the growing number of mass shootings, not much has been done in terms of legislation. “This has been going on for decades and we’ve had marches and such, but they haven’t really done anything. They get social media attention and then they’re dropped, but we want to keep this going. This is a movement, I feel like, that has to keep rolling,” Chinchilla said. In Long Beach and across the nation protests remained peaceful. LA Times reported no arrests were made at the Los Angeles march. 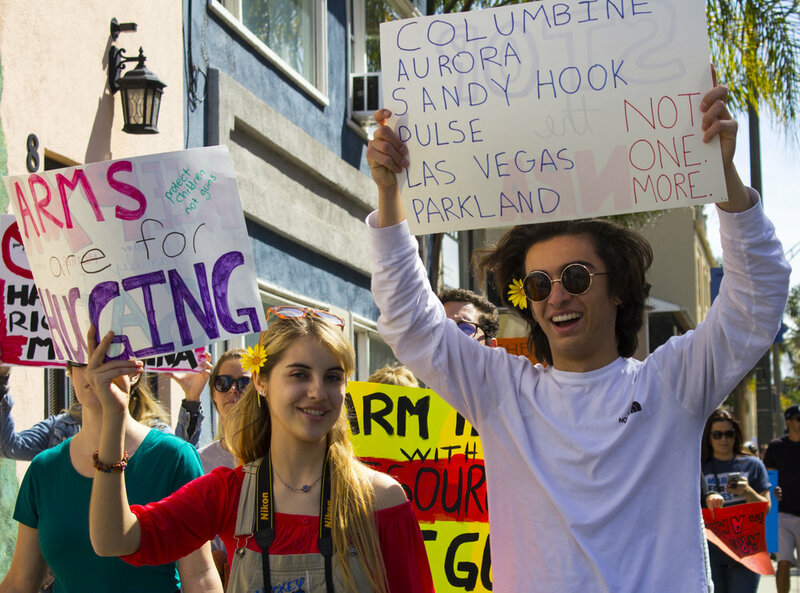 The orderly protesters and gorgeous weather served as harrowing reminders of the kinds of average days that have quickly turned tragic during acts of gun violence. A pair of physicians, lab coats and all, were eager to provide their insight on gun violence. One of the physicians, Paul Papanek, admired the efforts of the youth organizers. “We hope that as folks like these terrific high school students begin to get the message out - to voters, to would be activists - that our lawmakers will finally say, ‘it is time to get into the modern age and get rid of this terrible scourge of gun violence that plagues America,” Papanek said. 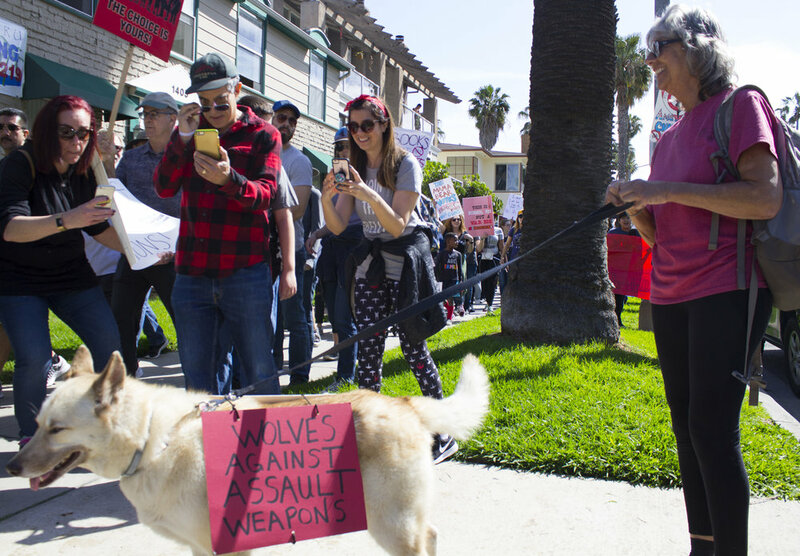 Elizabeth Garcia, who works for the Long Beach chapter of the Democratic Socialists of America, had more reserved expectations about the protests’ effectiveness. “I think people can get really helpless and start to feel like things are never going to change . . . more than anything I don’t think the politicians will listen to this, but I think [the march] will empower people to remember that they actually have a voice in the system,” Garcia said. There’s no doubt the marchers in Long Beach felt empowered. The diverse mix of ages and races chanted till their voices were hoarse as they marched along a route down Ocean Boulevard and back to Bixby Park down Broadway. Some protesters, like Janice Tully, were adamant that gun control need not mean a ban on guns all together. “I have no issue with pistols, I have no issue with shotguns, I have no issue with the kinds of guns people hunt with, but I have issues with guns that shoot 300 bullets a second . . . that cannot be, it doesn’t work in our life today,” Tully said. What quantifiable impact the March for Our Lives will have on gun violence in this country remains to seen. All that’s evident now is that the March has mobilized a tremendous base of vocal present/future voters who can all agree, enough is enough.